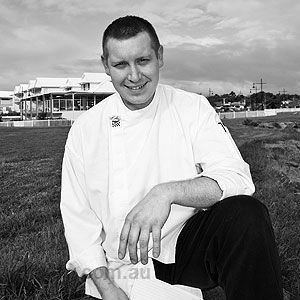 I started work as a kitchen hand at The Great Northern in Launceston before moving to the Sunshine Coast and starting my apprenticeship at Elmo’s on Ocean Street in Maroochydore. 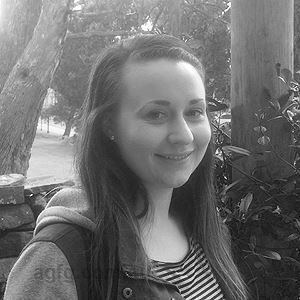 I decided to make the move back to Tassie again and started working at Fee and Me. 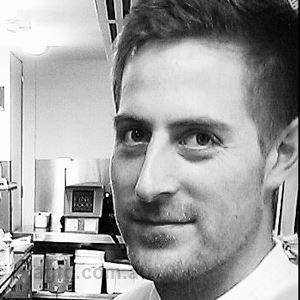 I went on to finish my apprenticeship at Mud Bar and Restaurant, where I stayed as head chef for two years. 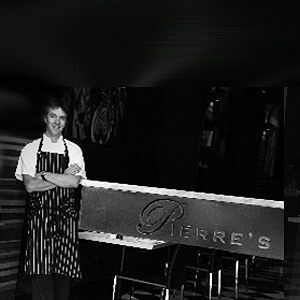 I then helped to reopen a Launceston institution, Pierre’s, and worked there for a year before taking over a catering lease at The Riverside Gold Club where I was doing extensive function and event work and onsite and offsite catering before moving onto work at Josef Chromy Wines as a sous chef for a year under Sean Keating, before taking over the lead role after Sean’s departure for a further two years. It was here that I covered extensive wedding and event work alongside doing our a la carte menu. At home we have recently set up a goat dairy with 40 milking goats and supplying milk to Westhaven, we are planning to make product at some stage in the future but are still wanting to keep it a small business. No, definitely not. I skated through years 11 and 12 and rolled on for another year doing not much really. I decided I needed to do something more with life so I dipped my toes before I jumped right in. The adrenaline of service times, the ability to make people happy, being creative and thoughtful, the lifestyle and dedication all sucked me in straight away. At home my go to utensil is a splade or spork. I seem to create elements that by themselves may be unbalanced and offensive but when combined with other elements on the rest of the dish, it comes together. I prefer a natural, non-fussy, plate up that is generous and fun. I have been using a lot of Japanese and Korean ingredients to season. Labels facing out, spoons at reach, a wiping cloth on every bench, music and set up! My grandmother Betty, she taught me salt is good. My Grandmother Jean, who taught me sugar is good. Fiona Hoskin who taught me that organisation is good. Sean Keating for teaching me that breaking the mould is good. Andrew Strange who taught me that believing in yourself is good but a bit of self-doubt is also good too. That it’s fun and approachable. You can make it what you want. If I want to change something I can. All we really want is for people to come in and have a good time. We are aiming to create a fun, vineyard restaurant experience. The wood fired oven is also great. Most eyebrow raising menu item? Wood oven Jaffle. These are made in a jaffle iron put straight into the wood fire. 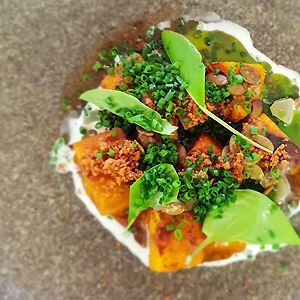 Nestled between some of the Tamar Valley’s oldest vineyards, Timbre restaurant finds popularity among locals and tourists alike, sitting beside Velo Wines. Enjoy a lunchtime dining experience in leisurely style, while soaking up a panorama of pastoral lands thanks to floor to ceiling windows, where the art and aromas of wood fire cooking combine with local produce to create a constantly evolving menu suited to the availability of premium ingredients. Share in tasting plates, perhaps finding delectable offerings of wood oven grilled cheese with Granny Jean’s mustard pickle, or old school pumpkin with pickle butter and sorrel; while those seeking larger indulgences may be tempted by the likes of olive braised lamb shoulder with anchovy butter and spinach.